Pipeworks began, as many breweries do, in the stove top kettles and plastic-bucket fermenters of the home brewer. Beejay Oslon and Gerrit Lewis met while working at Chicago's famous West Lakeview Liquors, a haven for beer geeks in search of new and exciting brews from around the world. While working there, the two got to thinking it was time to turn their passion in to a business. The first steps in that long journey took them to a the small town of Lo in the Belgian countryside. It was there that the Pipeworks boys lived and worked with Urbain Coutteau owner and brewer at the De Struise Brewery. While working there the boys honed their craft, learned the ins and outs of running a brewery, and had the opportunity to create their first commercially available beers. The success of these brews fueled their passion and prepared them for the work ahead of them. 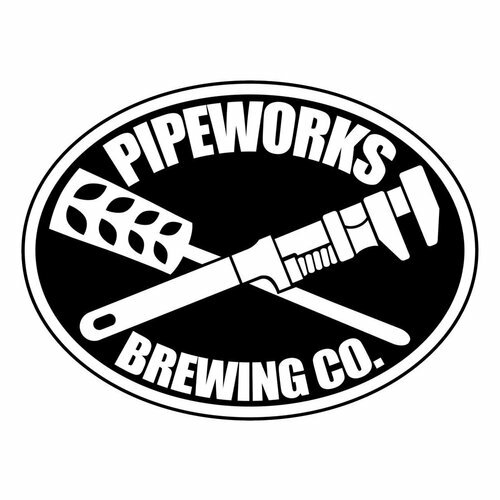 Upon coming back to the States the two began experimenting with pilot batches, formulating a business plan, and developing an image for Pipeworks.